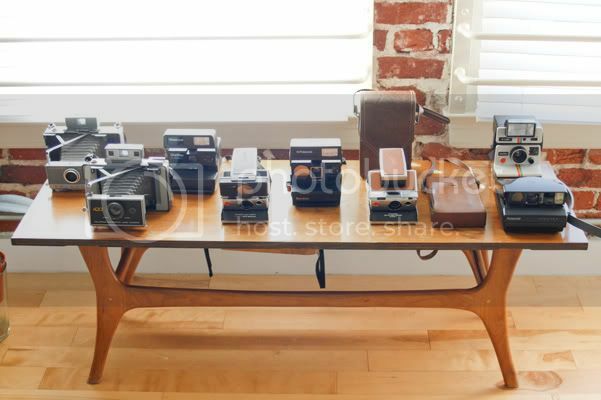 I'm in a state of Polaroid frenzy right now so let me show you my mini Polaroid collection. Aren't they an intimidating bunch of cameras and a sight for sore eyes? 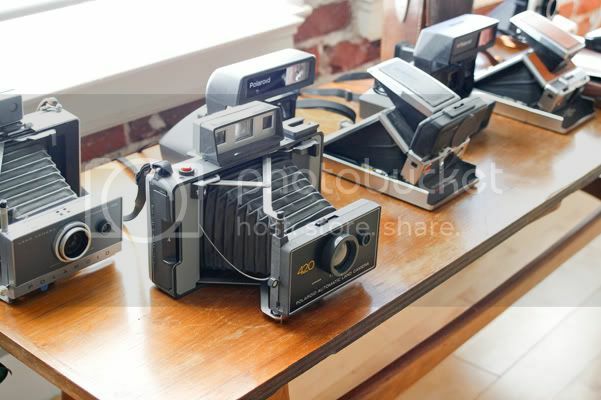 My favorite is probably a tossup between the SX-70 and the Land 420. The SX-70 has a manual focus while the Land 420 has a rangefinder focus feature which isn't in the other models like the OneStep, Sun600, or Spectra. I desperately need to stock up on film and start shooting again.